I've been neglecting my analogue cameras in the last year or so. The primary reason is that I usually lack the funds to purchase and develop rolls of film (and my life is currently not so fascinating as to merit being photographed). 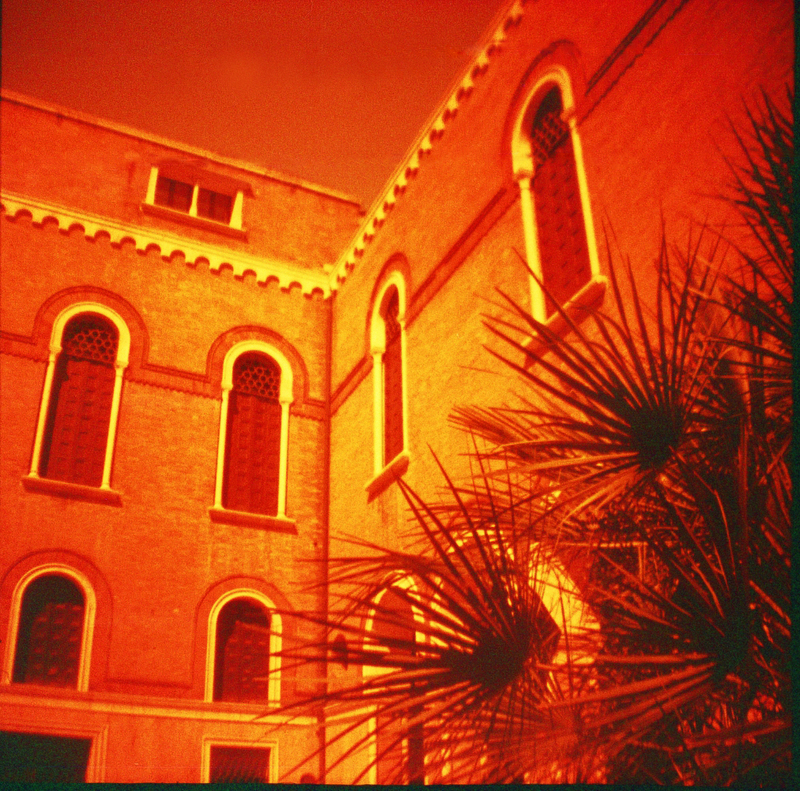 A few weeks ago I finally got a couple of rolls of film I'd shot on my Diana Mini developed - one a standard colour film, but the other my first experiment with Lomography's RedScale film. My Diana Mini suffered a bit of an accident on a trip to the Isle of Wight a couple of years ago, and hasn't been the same since - it's not quite as reliable, and the film spool is a bit temperamental, so I often have to use a few exposures up in order to get the film winding nicely. This means I don't expect too much from it, and don't rely on it as a main source of documentation! I generally try to shoot a roll of film over a couple of months or more, given the relative expense of developing, though I'd love to use film more often. 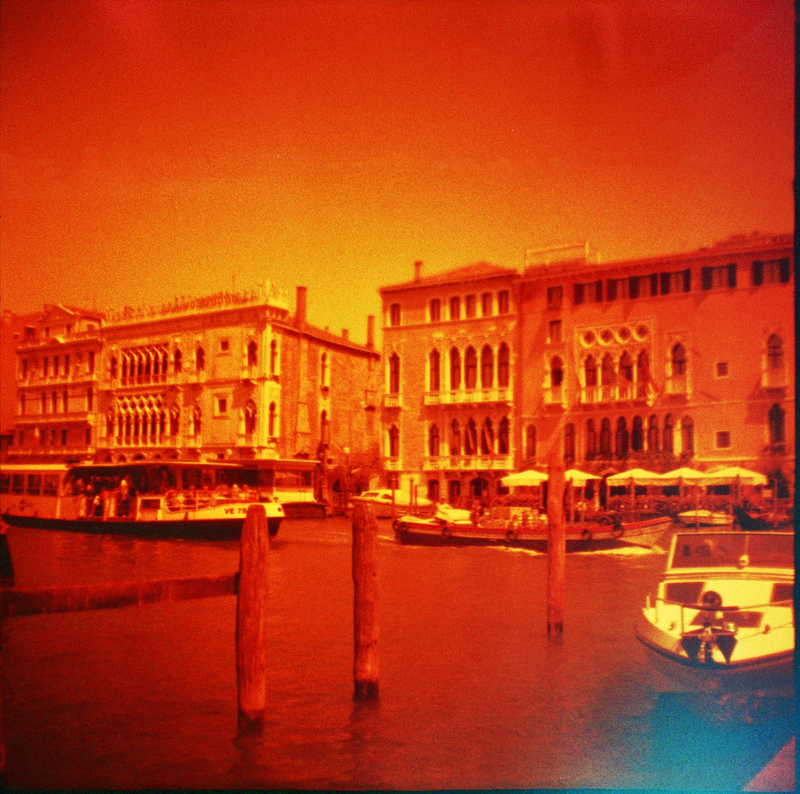 I started off my RedScale roll in London, shot a few very blurry images on my trip to Belgium and France, took a couple in Venice, and finished off the roll in Iceland in October. The Lomo RedScale is a little unpredictable - results range from deep, clear reds to a sickly yellow - but given it mimics the effect of a technique where photographers loaded their 35mm film backwards in order to shoot through the semi-transparent layer on the back in order to effectively shoot through a kind of orange filter, it's probably understandable. Asides from that, a big part of the reason I love shooting film is its unpredictable nature! Whilst some of my images were a bit of a washout (though this is more likely mostly to do with my damaged camera), some of the images really caught my attention, and I really love the saturated colours of this film. Given the film is 100ISO, you're going to need a fair amount of light or decent exposure times, but give this film a little extra - the bright sunshine of Venice and reflective light of Iceland worked wonders for it. I highly recommend it for a bit of colourful fun!